Is the brain more important, or the heart? Last time, we covered the controls of Domestic Pump units. Now it’s time to look at the heart of Domestic condensate handling equipment – their pumps and motor assemblies. Domestic pumps are base components in the Domestic steam condensate handling equipment. They are also suitable for a variety of other applications, including hot water heating, irrigation, evaporative condensers, cooling towers, air conditioning units, milk coolers and booster service. Generally there are two groups of pumps produced for all Domestic units, whether for condensate return, boiler feed or vacuum units: Centriflo C-types and B-types. 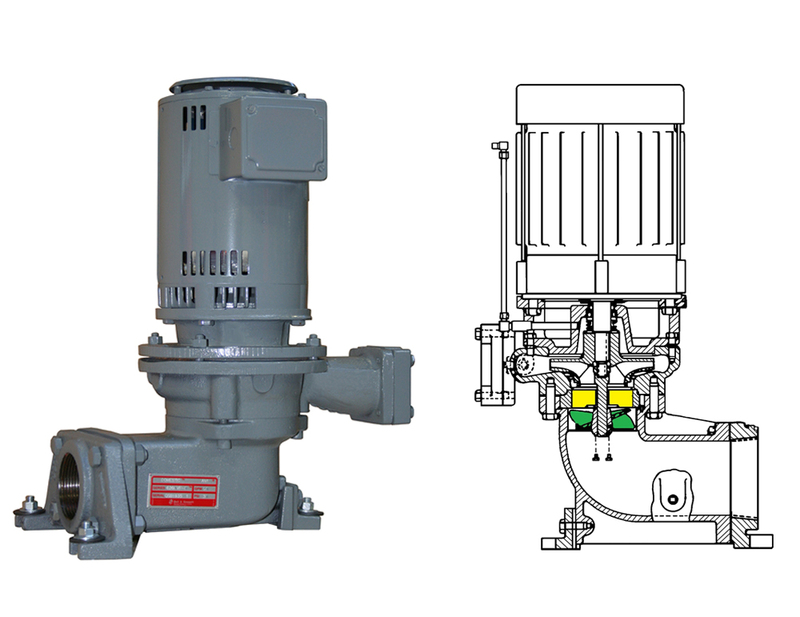 Centriflo® C-types are the most common pumps used in Domestic condensate handling equipment. Specially designed for the rigorous demands of this application, Centriflo pumps require a lower NPSH than conventional pumps. Vertical mounting saves floor space and gets the motor up above dirt and water. PF-style flange-mounted pumps can be simply bolted to flat vertical surfaces such as condensate receivers, eliminating suction piping completely. PVF vertical foot-mounted models come with footed NPT connect suction flanges and NPT discharge connections, for ease of use in other, piped applications. Here is an example of a C-type pump. All pumps for the Domestic underground units are C-type, as well, but with longer shafts, as highlighted in green below. Also, C-type pumps are exclusively used in Domestic vacuum units. They transfer the condensate, and play a major part in producing the vacuum, as well. The pump impeller lacks the close tolerances of other vacuum pumps. System debris of up to 1/8” can pass through the impeller with little to no detrimental impact, all the while continuing to assist in the production of the vacuum. The same can be said for the other vacuum producing components, which are not the topic of this article. However, please stay tuned for the next SteamTeam article to learn how the Domestic vacuum units work, and how that same water pump helps to produce and maintain the required negative pressure. Now, let’s turn our attention to B-type pumps. 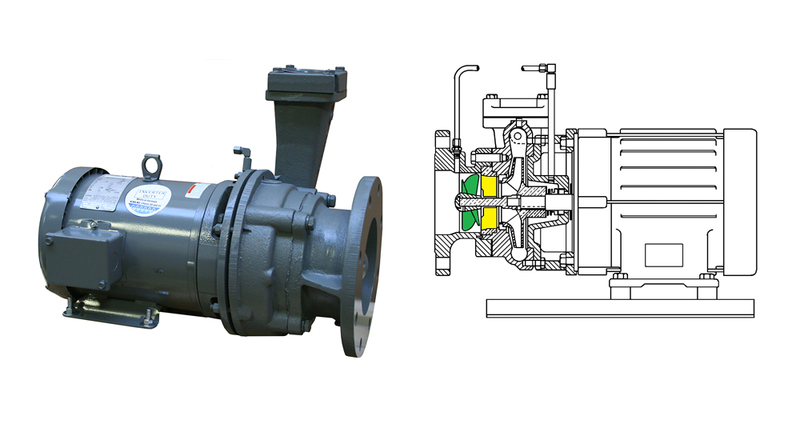 The difference here is an additional suction inducer (propeller) and straightening vanes that create a positive pressure at the main centrifugal impeller, thus guaranteeing low NPSH pump requirements. Those pumps require only 2’ NPSH, and can pump condensate with a temperature of up to 210°F at sea level from a vented tank at the same level as the pump suction. Pumps mounted to a vented tank elevated 24” above the pump suction can pump 212°F water. Pumping from a closed loop system is limited to a maximum of 35 psi suction pressure, and may require alternate seals if temperatures exceed 250°F. 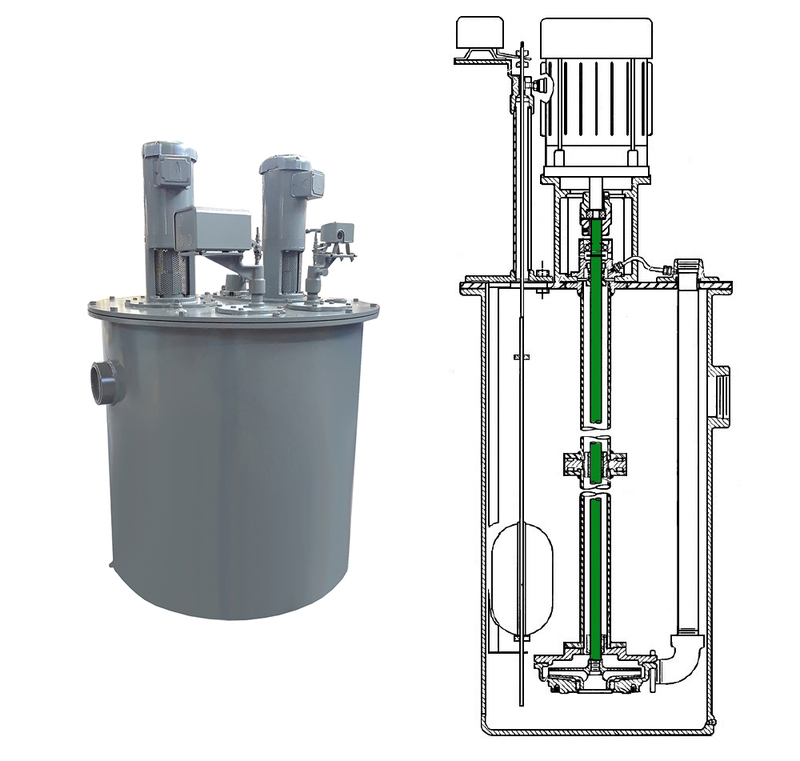 The PF-B vertical pump can be flange mounted for connection directly to a tank. 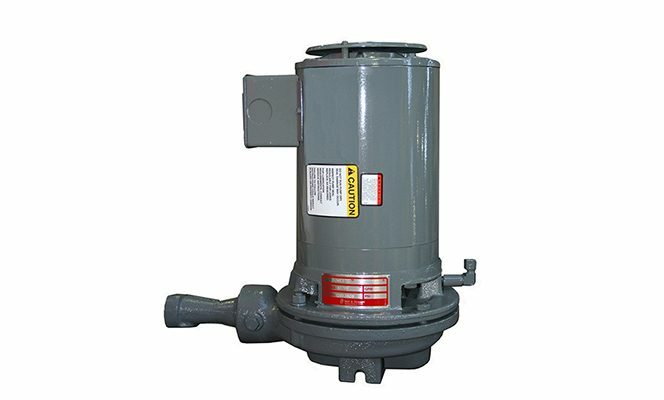 PVF-B is a vertical pump for separate, standalone floor mounting, and HB horizontal pumps are available for separate mounting. All pumps are bronze-fitted with bronze case wear rings, bronze suction inducers, bronze flow straightening vanes and stainless steel shafts. Here are examples of vertical and horizontal B-type pumps, with the propellers highlighted in green and the straightening vanes highlighted in yellow. Click here to download the December 2018 SteamTeam pdf file.